Mrs. David E. Jones; Rt. 1, Oregon City; Will call for picture; Prosser store + P. O. ; small horse on right is Kitty, formerly a race horse. Description Sepia photograph. Has creases, tears and stains. Missing upper right corner. From the estate of Blanche Jones, Jr. of Mulino, Oregon. Photo mounted on cardboard. 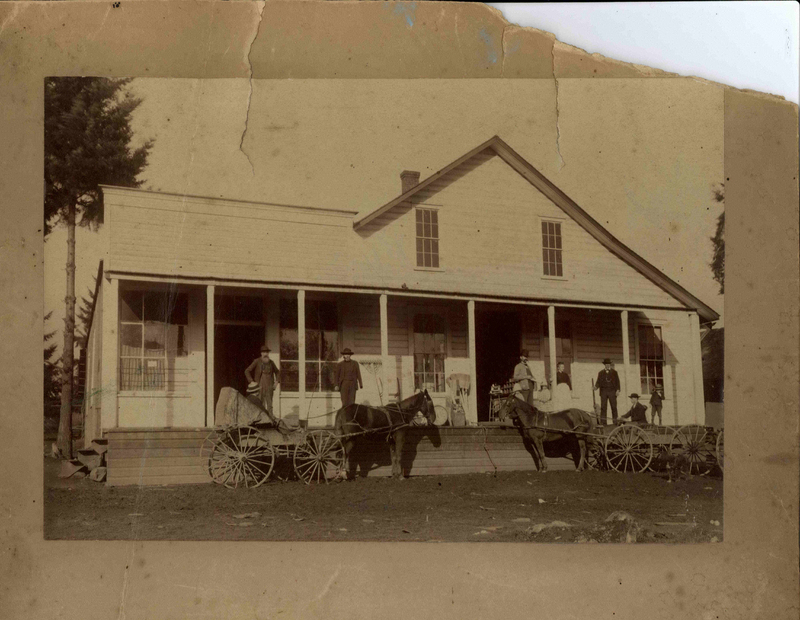 Pictured is the Prosser Store and Post Office. Transcription Mrs. David E. Jones; Rt. 1, Oregon City; Will call for picture; Prosser store + P. O. ; small horse on right is Kitty, formerly a race horse.